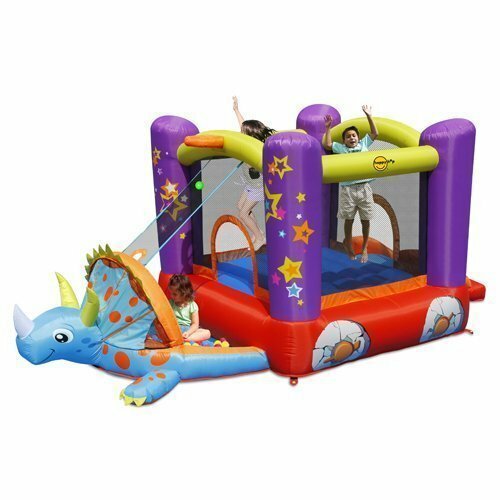 This bounce castle is perfect in fulfilling every kid’s Jurassic dreams. The little purple bouncer has a miniature ball pit and slide on the side. The highlight is the little dinosaur head covering the ball pit. 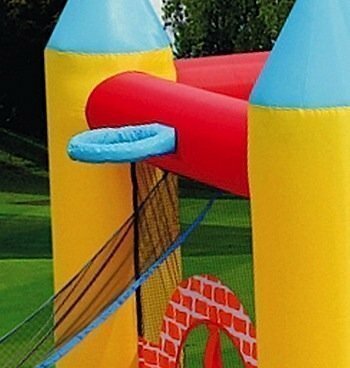 It surely stirs a child’s imagination as they spend hours playing in the castle. 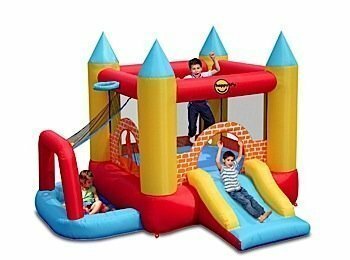 The 4 in 1 Play Center is a small bouncy castles where kids can play multiple activities. 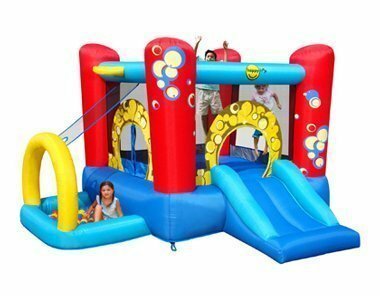 It has numerous features like a basketball hoop, a fantastic ball pool, a super slide and brilliant bounce, just to name a few. 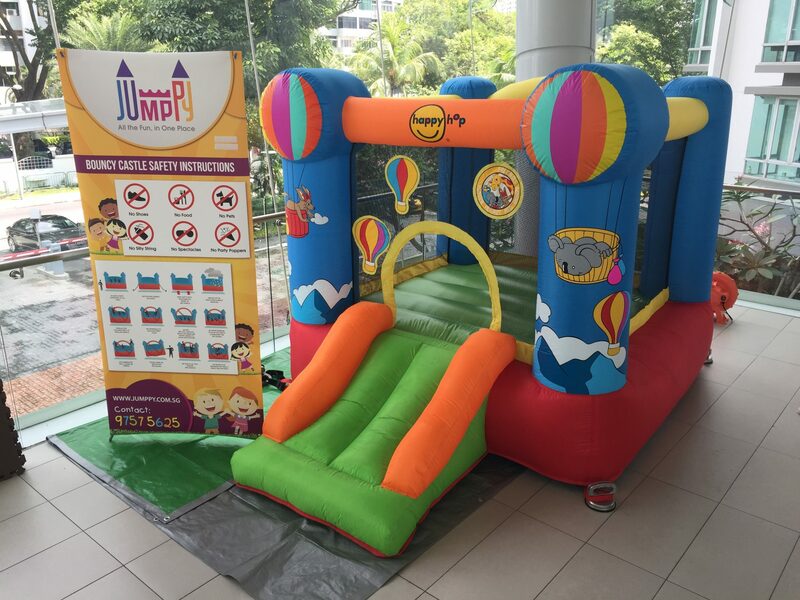 This bouncing attraction is perfect for any gathering of the little ones. 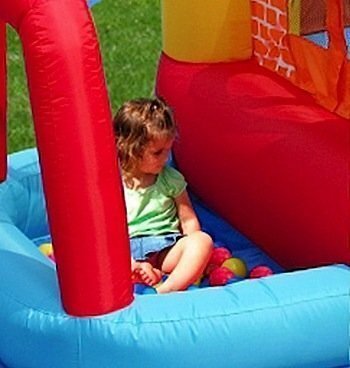 Kids will love to bounce around in the Airflow Bouncer with Slide. 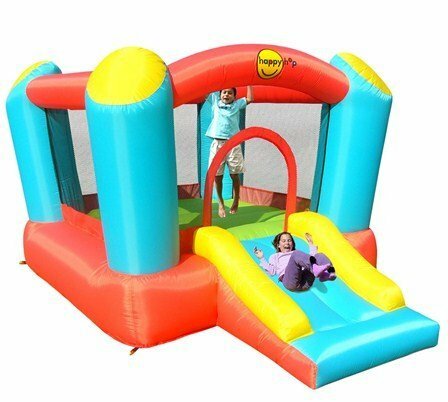 It has the basic colors of the rainbow and guarantees hours of bouncing fun. The soft, durable material ensures your kids are safe and protected. 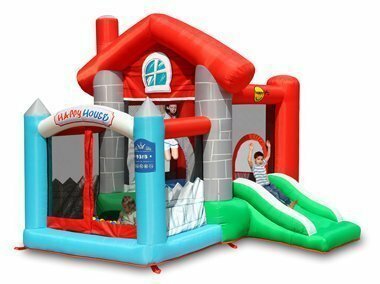 It is perfect for indoor parties and outdoor play time. Great for kids ages 3 and above. 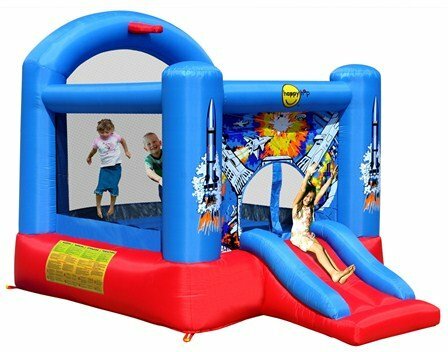 The Space Slide with Hoop Bouncer is perfect jumping castles for kids with aspirations of being an astronaut. 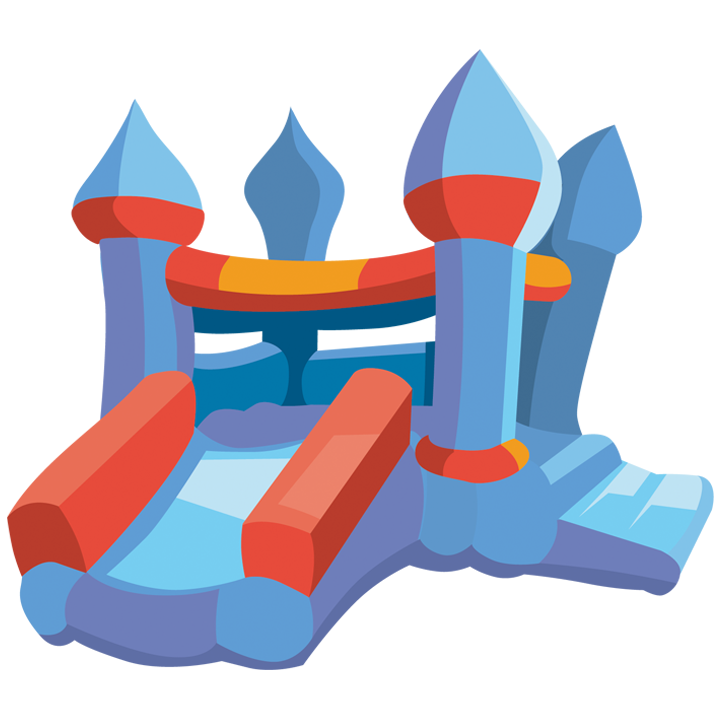 The bouncer is designed with rocket artwork in a background of blue and red. 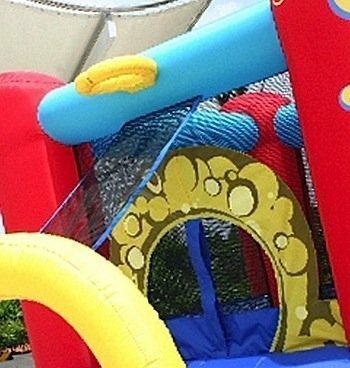 It has a durable bouncing room for 2 kids and a slide on the side. A basketball loop is an added feature to keep those little astronauts busy. 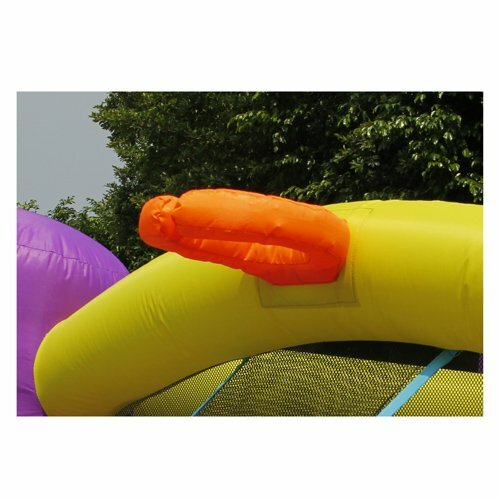 This jumping inflatables for kids is quite unique because it has a variety of characters on display on its theater themed design. 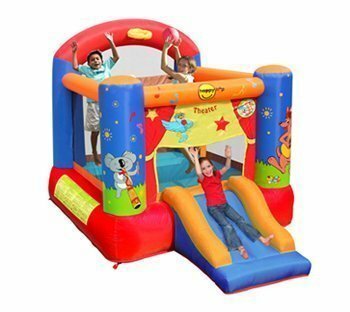 You can place this bouncing play pen indoors or outdoors for endless hours of fun and games. It has a small basketball hoop inside the bouncing pen. It also has a slide on the side entrance which looks like the opening of a theater stage. 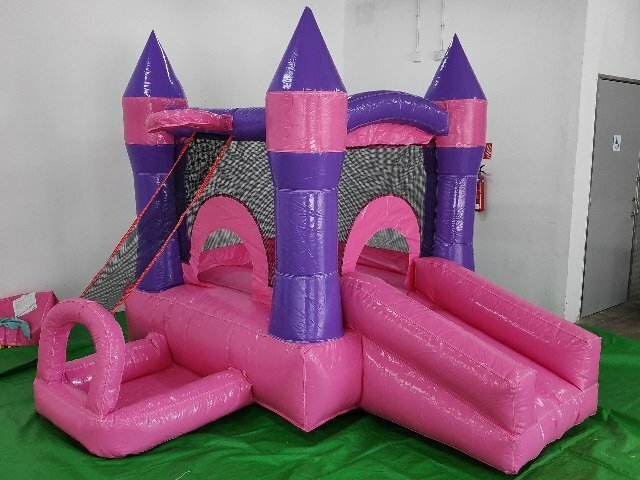 Your little princess will absolutely love this pink and purple jumping castle. 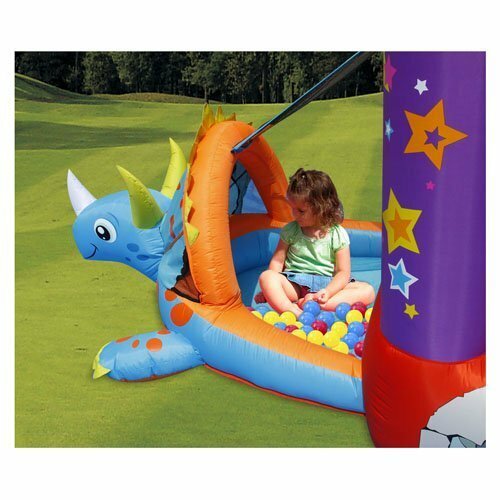 You will make her birthday party or playtime with friends truly memorable and enjoyable. 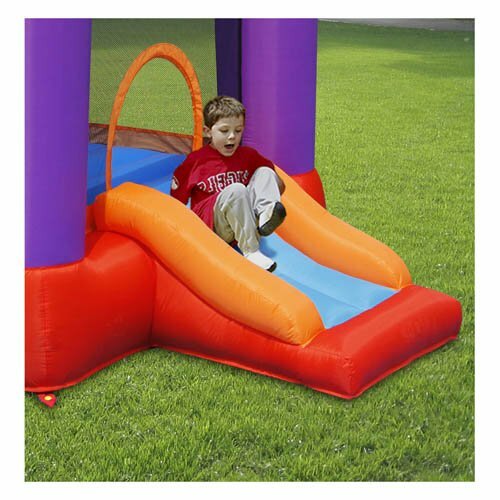 It is made of durable nylon materials that ensures safe jumping playtime for several hours. You even have a small slide on the side as an added attraction. 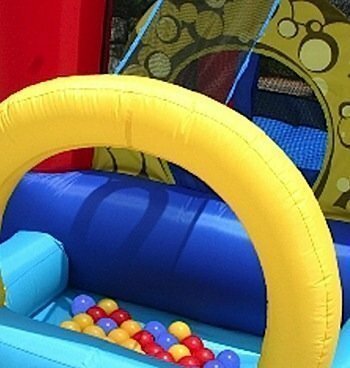 This colorful bounce castle has a miniature ball pool and inflatable jumps and slide features that will guarantee to keep your toddlers busy for several hours. You don’t need to go to the mall to enjoy these bouncing features because you can have them right in your own home. Kids will go wild with excitement! 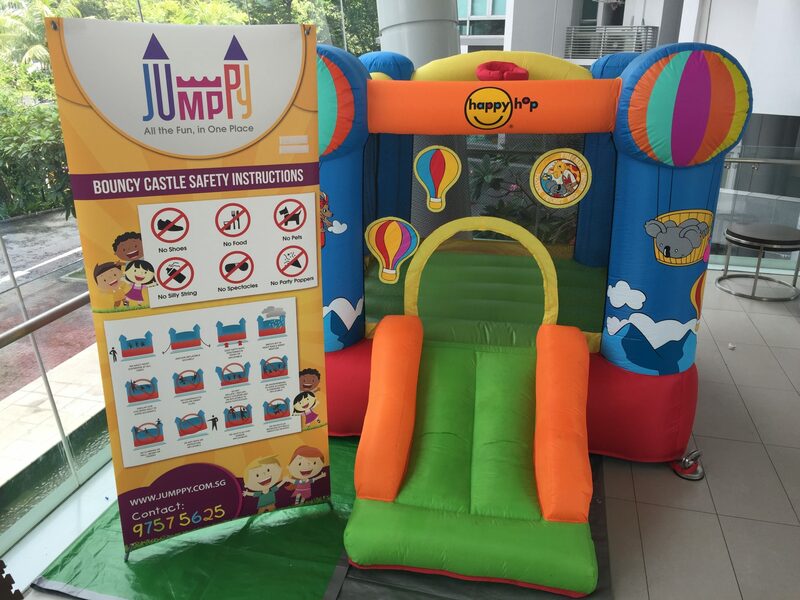 Singapore leading bouncy castle rental. 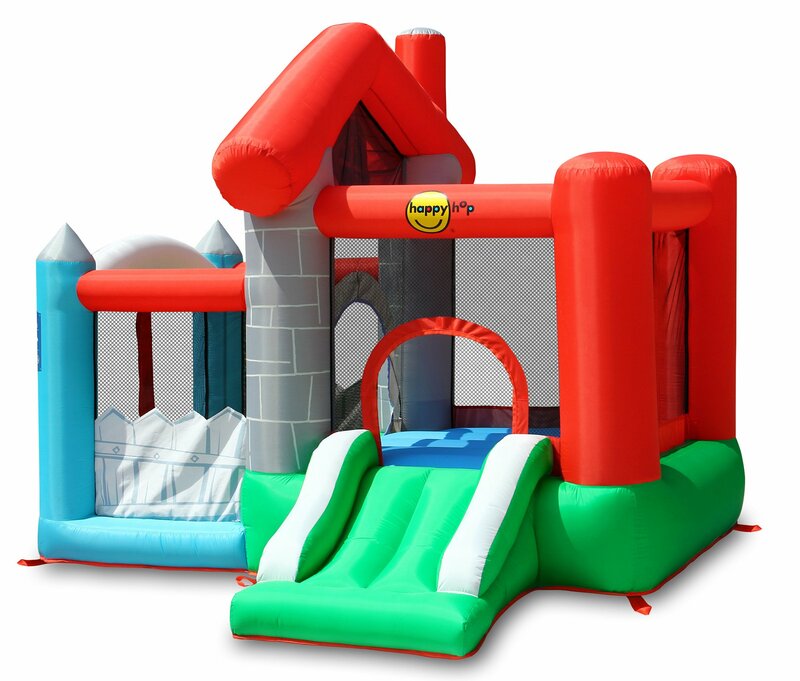 With over 30+ different bouncy castle for rent, you’re spoilt for choice. 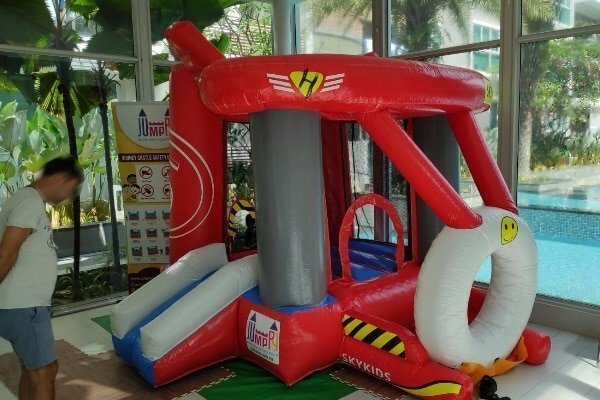 We’re also the first bouncing castle rentals company to offer wet bouncy castle singapore.